We have a gated, clean, secure, and affordable self storage facility located in Little River, SC. RENT ONLINE anytime, anywhere (we do not have offices on site) and have 24 access at your convenience 7 days a week!! 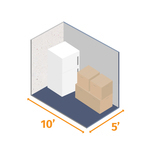 Interior Access...Will hold the contents of a Studio or one bedroom Apt, OR 150 Standard File Boxes. 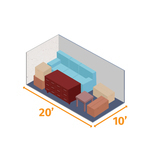 Similar to size of an average bedroom. 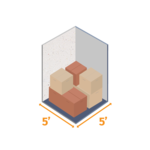 Will hold the contents of an entire family room or two full bedrooms, OR 170 Standard File Boxes. Also good for a washer and dryer. Interior Access ...... 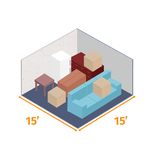 Similar to size of an average bedroom. 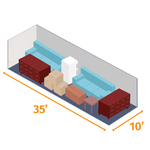 Will hold the contents of an entire family room or two full bedrooms, OR 170 Standard File Boxes. Also good for a washer and dryer. 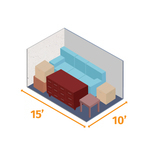 Similar to size of a large bedroom. 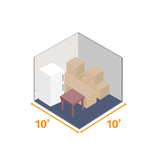 Will hold the contents of up to three bedrooms in this unit. 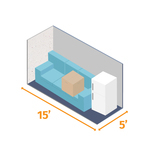 Recommended for larger items such as pianos, couches, tables, or large-screen TVs.